Easy to load and unload on or off a vehicle for transport. Maneuverable front casters and rear casters with swivel locks and side brakes. 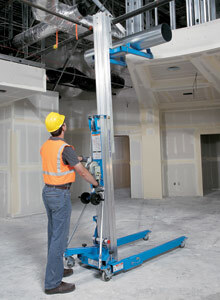 Standard one-speed winch with silent ratchet system. Optional two-speed winch lets you shift gears. Optional rear transport wheel assembly for maneuvering on uneven surfaces. 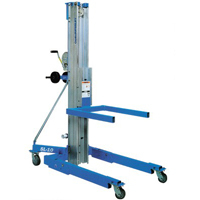 Rolls easily through single door in upright position.